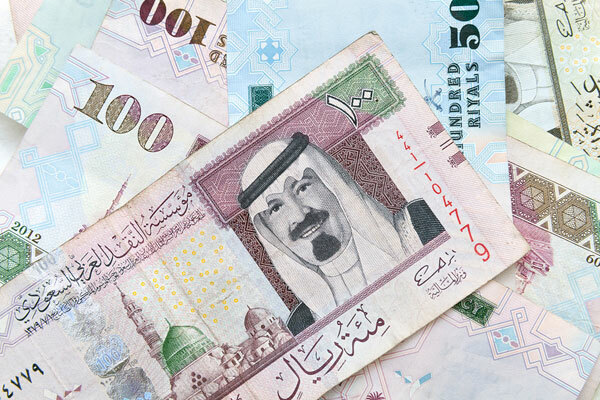 Saudi Arabia’s plans to implement wide-ranging institutional changes to put its fiscal policy on a sustainable footing would give an unprecedented impetus to public-private partnerships’(PPPs) in the kingdom, said experts. History suggests that prolonged low oil prices, coupled with capex cuts, would have negative implications for credit growth, asset quality, equity valuations and the overall economy, said Arqaam Capital, a specialist emerging markets Investment bank, in a strategy note issued ahead of Jeddah Economic Forum to be held on March 1-3. As it currently stands, the Saudi Arabian government funds over 80 per cent of the infrastructure projects in the country, while PPPs only account for 4 per cent of total projects. According to the strategy note, PPPs are expected to be used as an alternative to outright government spending to avoid a big capital expenditure squeeze, which would translate into a weakness in the non-oil sector. In addition to providing a different funding avenue, PPPs would also ensure other significant benefits such as more efficient project execution and management, better service and non-financial benefits. “We expect the privatization of these assets to expand as the government has already announced that airports, hospitals, and educational facilities are lined up for the process. We view this move positively, partially for the increased revenues that the government stands to receive in the short run. This move should also help alleviate some of the pressure on the country’s foreign exchange reserves and borrowing costs, while also enhancing the efficiency of these assets and providing a further boost to economic growth,” he added. “Saudi Arabia is committed to PPPs and we have already witnessed this across the Kingdom’s civil aviation sector, with the government announcing its intention to privatize international and domestic airports by 2020. In fact, the government inaugurated its first PPP airport scheme in 2015 with the USD 1.4bn Prince Mohammad Abdulaziz Airport in Medina. We expect this trend to continue as the government aims to curb costs and avoid public financing,” Hajee explained. Citing similarities between Saudi Arabia’s present fiscal challenges and the complications it faced in the early 1980s, when an oil supply glut forced Saudi Arabia to run down all its assets, Arqaam expects the Kingdom to explore expanding its PPP initiatives this time around, instead of drastically cutting capital expenditures as it did in the 1980s. According to the strategy note, Saudi Arabia stands to gain tremendously by leveraging its growing pipeline of PPPs to stimulate capital markets, relieve budget constraints and strengthen balance of payments, mitigate and share risks and improve the quality and cost control of public services. Arqaam expects oil markets to remain depressed for some time, with no rebound in oil prices before the second half of 2016. With that in mind, Arqaam expects Saudi Arabia to continue facing dwindling public sector capital expenditure and a rise in suspended and cancelled projects, which have increased by 6 per cent and 7 per cent respectively, over 2015. Arqaam forecasts that delaying or completely scrapping public sector capital expenditure across the transport, construction and power sectors will place the country under intense pressure to meet its growing population requirements.